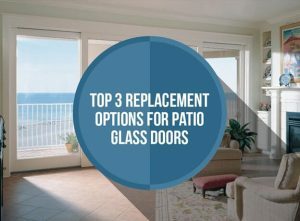 Patio doors are among the most popular features in any home. They provide easy access while creating unobstructed views that flood indoor spaces with natural light. This is, of course, as long as they are still in their prime. If not, then you may want to consider a replacement right away to ensure the safety, energy efficiency, and curb appeal of your home. Double French doors are masterpieces in their own right. They consist of one or two door panels, each made up of several small glass panes and intricate hardware. We offer two distinct varieties – hinged and gliding. Working with our experienced design consultants, you will be able to customize the size, finish, and interior and exterior colors of your French doors to match the style and décor of your home. Our hinged patio doors in Seattle look exactly like two French doors side by side. They are center swing, boasting a blend of traditional craftsmanship and modern energy efficient technology. The result is a replacement door that not only looks great, but also provides years of beauty and function. The glass components are the same High-Performance™ Low-E4® packages that we use for our windows. We offer the smoothest gliding patio doors in Seattle thanks to our exclusive dual ball-bearing rollers with self-contained leveling adjusters. In addition to their most obvious benefit (space saving), they allow for maximum glass surfaces that elegantly bring your outdoors in. Customize their look with our array of grille, hardware, and security options. We make sure that every order is made specifically for your home. We then back them with topnotch warranties for your peace of mind. Call us today at (206) 686-7733 or fill out our contact form for a free in-home consultation.